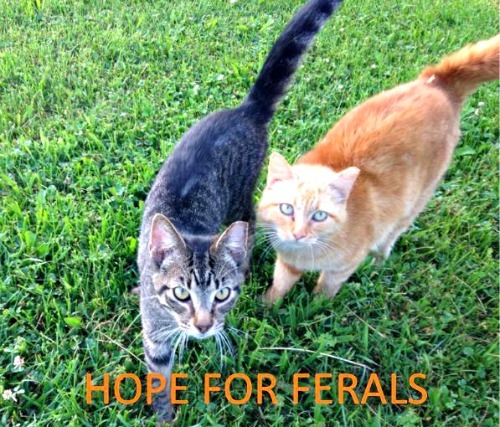 Hope For Ferals is a non-profit program that provides Trap-Neuter-Return for feral cats in Bartholomew County, Indiana and surrounding areas. We also provide adoptions of feral cats to be relocated to be barn cats and humane education presentations to help reach our community members! 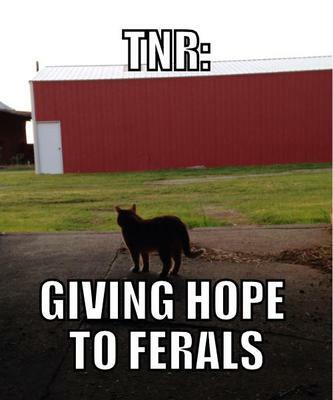 Before Hope For Ferals started in May 2014, Bartholomew County did not have a TNR program which resulted in the immediate deaths of feral cats entering local shelters. Now we are here and trying to make a difference, but we can't do it alone! Instead of feral cats being trapped and taken to shelters, we as a community can change the lives (and deaths) of these beautiful natural creatures. Feral cats die in shelters every single day. Feral cats are wild animals - by definition, feral cats live outdoors and are unsocialized to human contact. This means they would not be 'adoptable' at shelters as family house cats so they are killed upon arrival. 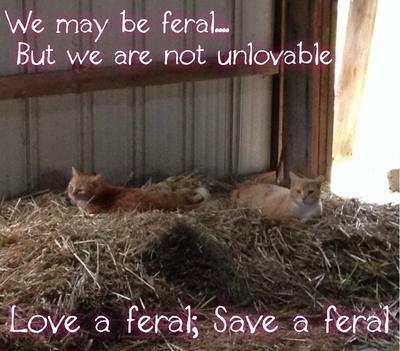 Feral cats don't belong in shelters, they belong outside. So, how do we keep them out of kill-shelters in the first place? 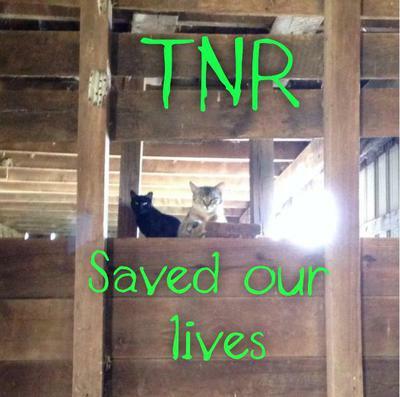 By giving them another option: Trap-Neuter-Return, and by educating people that TNR is the only way to prevent unnecessary killing of feral cats. People often call Animal Control and turn animals into shelters without a true understanding of their chances of being killed. Caregivers, Transporters, Fundraising, Advertising, and more! If you have a special talent that you feel could help our cause, don't hesitate to contact us! Canned food, Live traps, Sheets to cover traps, Small craft items to be sold to raise money, Hard cat food to provide for cat colonies. If there is something else not listed here that you feel could help our cause, please ask! Hope For Ferals is only able to provide free spay/neuter to feral cats because of the support and donations of generous cat-loving people like you! Your support is vital for us to be successful as a community and helping feral cats survive! We are glad to be a part of this amazing online cat-lovers-only online group and we are excited to see the connections and support we can find here! Thank you for all you do for cats. and FOSTER HOMES for socializing feral kittens!